To save your country, would you betray your government? In 2013, the world discovered the shocking news that the U.S. government was monitoring and recording each of its own citizen’s E-mails, phone calls and text messages. Edward Snowden, a National Security Agent employee with a high paying job, girlfriend and a cute house, gave up his life in paradise to reveal the inconvenient truth about the NSA’s mass surveillance program. 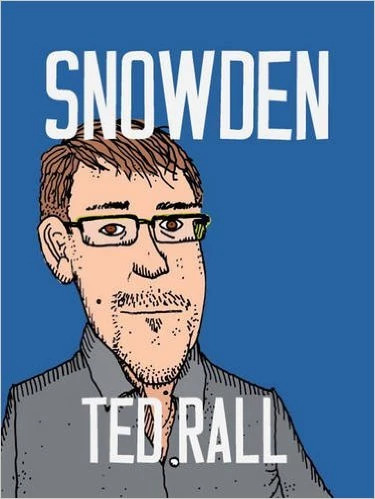 Ted Rall uses darkly humorous and occasionally unsettling political cartoons to depict Snowden’s story in an intriguing, ominous way. Readers who can handle the dark underlying themes and controversial topics will want to keep reading to learn about how Edward Snowden fled the government to many foreign countries and leaked top secret government files proving that the NSA spied on innocent civilians, made targeted assassinations and blackmailed its way to make the United States a surveillance state. As well as illustrating Snowden’s adult life, Rall documents Snowden’s childhood life. Chronicling how he grew up in a town near the NSA’s secretive headquarters, where employees couldn’t even tell their spouses the top-secret things dealt with there and how Snowden was in the local Boy-Scout Troop, where he was taught to be honest, Probably inspiring him to reveal the NSA’s secret surveillance. Rall also explains how Snowden missed a year of school due to an illness. Anyone who enjoys dark humor, current events and a compelling story will want to get tangled deeper in the web of lies, blackmail and brainwashing that is the NSA’s surveillance program.